After an outbreak of Avian Influenza (H5N2) early this year that resulted in an estimated $3 million loss for poultry farms in the Spanish Lookout Community, the Belizean population is now starting to feel the financial effect. Since June 2015 residents had been reporting a shortage in egg supply and now the Belize Poultry Association has confirmed a 17% raise in the price of eggs. The price markup is the result of over 86,000 birds being put down due to contamination, which severely affected the farmers’ inventory. The Belize Agriculture Health Authority (BAHA) identified the outbreak of H5N2 in two poultry farms in Spanish Lookout since January 2015. Since the initial detection, intensive testing of over 75,000 birds across the area was carried out, which resulted in positive cases in 12 poultry farms. The infected samples were initially limited to poultry from the broiler breeder section of the farm, but as the month progressed, chicken used for direct consumption also started showing signs of infection. To avoid human contamination, all birds showing signs of infection were put down. This major loss in inventory and lack of subsidizing from the Government of Belize (GOB) resulted in an increase in the price of poultry products and the lack of inventory in certain areas of the country. "The production of eggs actually went down, if you recall in January, BAHA had made a report that Spanish Lookout through a regular surveillance program flocks of hens were found to have Avian Influenza (H5N2) which is a low pathogenic Avian Influenza. Belize had options of either depopulation and/or a vaccination program. We, along with BAHA and the Ministry of Agriculture opted to go the depopulation side instead of the vaccination, because it's more difficult, costly and it takes a long time. So, because of the depopulation, more than 86,000 birds were depopulated and of those, 70,000 were layer hens and some older hens, but most of them were also young pullets who just started to lay. So, the effects of the young pullets starting to lay isn't felt until four to five months later. Which is what we felt about a month and a half to two months ago. The egg production went down and when you depopulate these birds, the birds take at least five months for a new flock to start production and when they start production which they just started about a month ago, the eggs start small and increase to regular consumption size in the coming month. 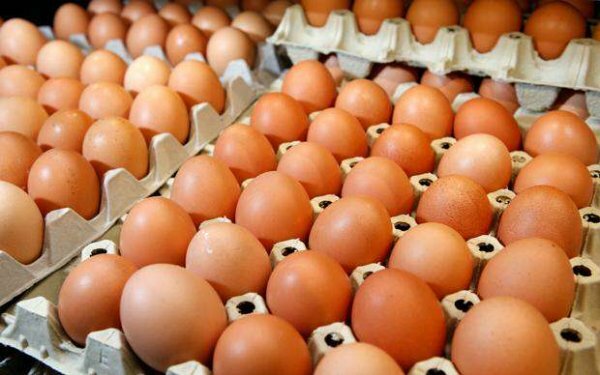 So that actually caused decrease in production and an increase in the price of eggs,” explained Orlando Habet, Manager of the Belize Poultry Association. Habet indicated that the price increase will only be until inventory is stabilized in Spanish Lookout which should take about a month. “The price went up like 17%-18%. The production right now is almost back to normal,” said Habet. He also indicated that while the current price markup is a result of the H5N2 outbreak, egg prices fluctuate throughout the year. “The prices went up a little, but from the productive sector side. The big problem throughout the year is that sometimes the industry cannot control the prices that the supermarket put on the retail. For example, a case of eggs, which is 360 eggs is sold for about $87 per case, which comes out to $7.50 per egg flat and $3.10 per dozen. I just want to mention that eggs fluctuate in price throughout the year. During the Christmas time it may go up to $90 - $95 per case. But normally eggs, would be selling like $76 - $78 per case. Right now it's at $87 per case,” ended Habet. Once everything is stabilized at the poultry farms, both stock and price should return to normal in all areas of the country.